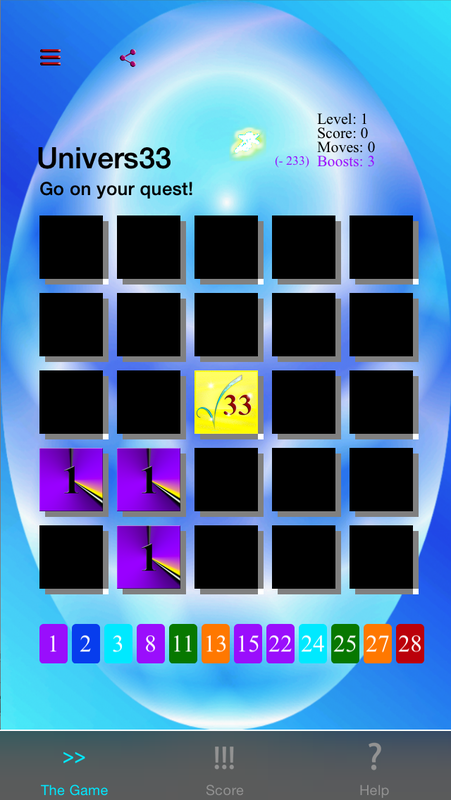 Here is the new easier version of that game with more animations, a richer quest you will have to achieve and many surprises!!! The icon of the game stands for Virgin Mary. We click three times on it for the Gospel says, "Ask and it will be given to you; seek and you will find; knock and the door will be opened to you." The end was inspired by the rain of roses of Saint Thérèse of Lisieux... Let you be guided by the angels, let you be conveyed up by the unicorn!!! The rules are inside the executable file. There are several levels in that game. A short TUTORIAL is available on youtube. While testing, the level 1 was ended with 5813 points with 8 'Clear' assets left; who will break this record? The Android and Apple versions for smartphones and tablets are available. 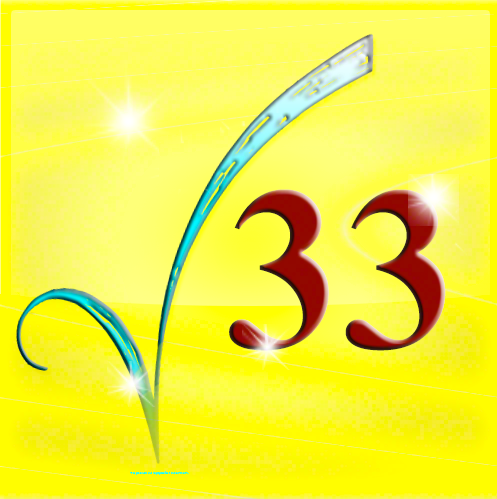 If you have any Mac or PC, a Java executable file is available under the name UNIVERS33.zip. It's your turn to play!!! The reproduction of all or part of this site is forbidden without the written permission of the author. This site is protected by the laws on the intellectual property and is the property of the author Philip Leroux. The site Univers33 will not be responsible of any direct or indirect dommages caused to your personal equipment, when going to http://www.univers33.com, nor indirect dommages from a possible fraudulent use of this game and the texts of that site.